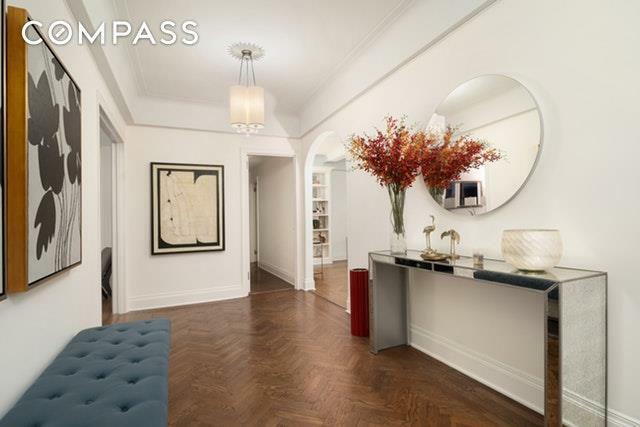 Be the first to see this Elegant Carnegie Hill Prewar Classic 6 redesigned for todays lifestyle. An extensive restoration and renovation was done, keeping the integrity of the Art Deco style of the 1930s. The owner took meticulous care to preserve the original details while at the same time upgraded the apartment to bring this home filled with charm into the 21st Century. The traditional layout with exceptionally spacious front entry hall and very open entertaining area is perfect for large parties or intimate gatherings. The kitchen opens up into the dining room to create great flexibility with the ability to close off the room for a more formal setting. The bedroom wing is separate with two split bedrooms for ultimate privacy. The Master has an en-suite bathroom along with an oversized dressing room. The second bedroom has a full bath that is conveniently located right outside of the bedroom and perfect for guests as well. A third bedroom has its own private bath with a washer/dryer which can be moved to another location in the apartment so that a shower can be installed. The seven closets include two huge walk-in closets, one off the master bedroom and one next to the entrance foyer. The apartment has been photographed and published in several high-end art and decor magazines. 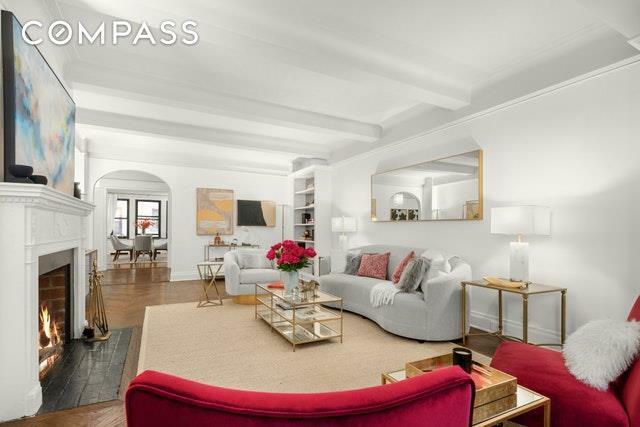 This full-service building has 2 doormen to greet and help you, a stunning meticulously renovated Art Deco lobby, a full storage cage transferable with the apartment, and a fully-equipped state-of-the-art gym. Pets are welcome. 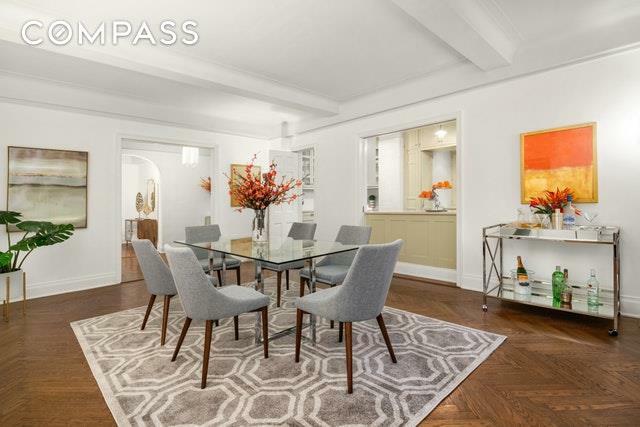 In the heart of Carnegie Hill, the apartment is convenient to shops, major museums, wonderful restaurants, the 92nd St Y, public and private schools, transportation galore and our beloved Central Park. 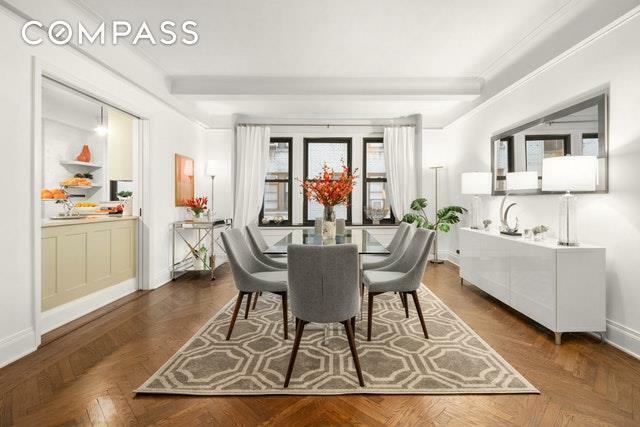 Listing courtesy of Sandy Gansberg of Compass.